1ST september - 8th september 2019 - LIMITED SPACES! 34th generation shaolin disciple under shifu shi yanzi and yan lei of the shaolin temple, China. twenty-five years experience in mind and movement arts. Join Alexa on this Luxury Mountain-Top 7-Night Yoga Retreat on the stunning island of Ibiza in Spain in September 2019 where you can kick back and relax in the warmth of the Ibizan sunshine, and feel a deep sense of comfort at Can Luminosa located within the peaceful village of San Lorenzo. Practice Yoga and Meditation daily, learn the great Art of Qigong with Special Guest Ryan Kai Calderon and enjoy delicious organic vegan cuisine freshly prepared by our own Private Chef each day. "We had an amazing week in Ibiza with lots of yoga, meditation and pranayama's. Alexa pays a lot of attention to the details of your poses and to you personally. I felt very at ease and peaceful during the week." Can Luminosa is a new luxurious property for yoga practitioners and teachers that is located North of the beautiful island of Ibiza, in Spain. Set within a magical forest, this is a retreat space like no other that you have experienced. The grounds within Can Luminosa will greet you with truly sacred outdoor spaces and warm, comfortable communal areas to chat, and connect to fellow students. Take a dip in the beautiful infinity pool or simply enjoy solitude and time to reflect in a shaded corner, within the peaceful property. As you take a walk through the forest that offers a special Meditation Maze and barefoot pathways, you will be able to walk on the earth, experiencing Mother Nature from the heart of Ibiza. This beautiful location has been fully renovated in 2018 with flawless attention to detail in luxury and style, offering hugely spacious bedrooms with thick finca walls giving you a sense or privacy and freedom, within this chic five-star retreat property. Offering stunning views in single, double, twin, triple or quadruple accommodation in extremely spacious rooms, you will be spoilt for choice and amazed by the luxury on offer. You will even find that the shared ‘L’ shaped Master Suite has a dose of privacy offering double beds for all, a huge bathroom and additional toilet with washroom, and private terrace area. “I met Alexa in Ibiza on her 2018 yoga retreat. She immediately put me at ease with her calm and easy-going energy. She is a wonderful and knowledgable yoga teacher. Having practised with the same yoga teacher for the last 2 years, I was apprehensive about starting with a new teacher. Alexa's style of teaching suited me down to a tee. During her sessions, I was able to quieten my mind and connect with body and breath. I left each session feeling rejuvenated and with a deep sense of peace. The beautiful setting was an added bonus! 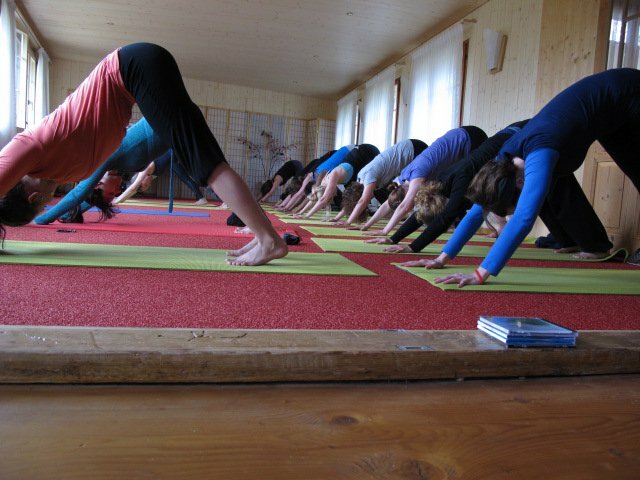 I am so glad that I went on her yoga retreat as it truly opened me up to a new and invaluable experience”. With our own Private Chef to offer outstanding fresh, organic and locally sourced vegan and vegetarian meals everyday, you will feel deeply nourished from within and inspired upon your journey back home. Full board including delicious vegan & vegetarian pre-yoga bites and chia pots, a healthy hearty brunch, afternoon snacks, an abundant evening dinner plus fruit, nuts and seeds throughout catering for all dietary requirements. Welcome drinks and snacks. Complimentary tea and water throughout. Just a few hours flight from London airports, and a short thirty minute scenic drive from Eivissa airport, you will reach the stunning Can Luminosa with excitement, and pure delight this 2019. Organised Transfers to and from the local Eivissa airport included in the cost of the retreat for peace of mind. Can Luminosa is a mere stones throw from crystal water local beaches including the quiet coves of Portinatx, the bohemian vibes of Cala Mastella and turquoise waters of Cala Nova. Taking time out on these serene beaches, the natural summer vibes will re-energise you from within, and the cooling waters of the sea will positively balance your body, mind and soul. Two afternoons yoga free where you can take your own time out at Can Luminosa retreat centre, or exploring the local area. During one of these afternoons Alexa will guide those who wish to visit the beautiful local beach, and the other afternoon she will take students into Ibiza Town where you can take a short boat ride around the Marina, or simply take a leisurely stroll through the town. Experience true heavenly bliss in 2019 at this exclusive mountain-top retreat location Can Luminosa on the stunning island of Ibiza, nearby to the peaceful yet charming village of San Lorenzo. Alexa Kho-Hinkson, Founder and Senior Yoga Teacher of Ambika Yoga will lead this 7-night Yoga retreat from the heart by teaching yoga, meditation, pranayama and yoga nidra for up to four hours per full day, and guide you into a deeply recharging therapeutic and restorative yoga practice, which will leave you in a state of pure tranquility. All Classes are catered for All Levels from Beginner to Teacher Level. Practice up to four hours per full day of rejuvenating therapeutic and restorative yoga, yoga nidra meditation and pranayama with Alexa. Special Guest Ryan Kai Calderon, Master in Martial Arts will be offering Workshops in the first two full days of the retreat. "I have known Alexa for nearly three years when she took over teaching a class I was attending. As I was relatively new to Yoga, Alexa's method of teaching really suited me. I continued my practice with her and joined her on her retreat in Sri Lanka. I would recommend Alexa to anyone at any stage of their Yoga journey!" Other days will consist of a similar structure with Special Guest Ryan also teaching on the morning, and afternoon of Tuesday 3rd September. Wednesday 4th & Saturday 7th September will consist of four full hours of Yoga, Meditation, Restorative Yoga, Pranayama & Yoga Nidra, two hours in the morning, and two hours in the afternoon. There will also be two yoga free afternoons on Thursday 5th and Friday 6th September, giving you the opportunity to explore the island further with Alexa. 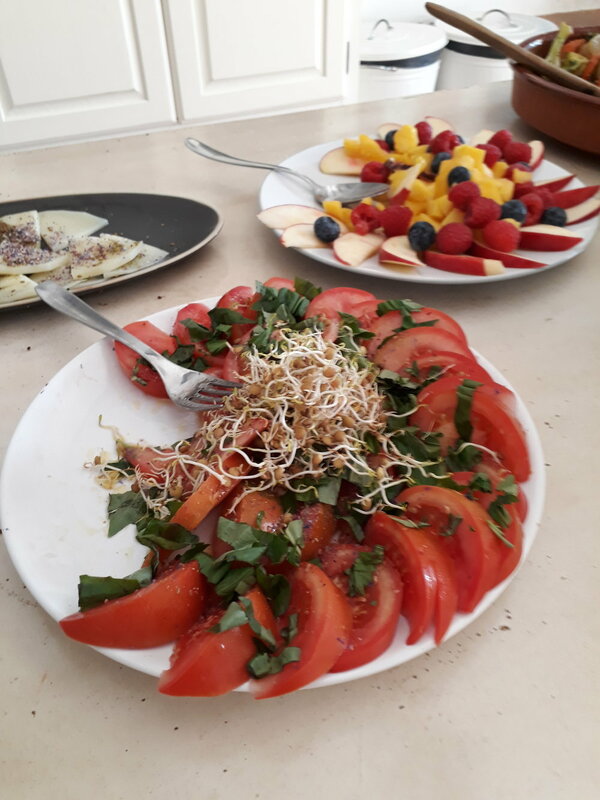 On the last evening of the retreat on Saturday 7th September, Alexa will take you to a wonderful organic restaurant located in the local San Lorenzo area. Departures on Sunday 8th September will be after Brunch around 10:30am. "Alexa's classes are well planned out, fun and engaging and Alexa is a generous teacher with so much to share. Over the years, I have become a regular at Alexa's yoga workshops, retreats and one-to-one practice and look forward to continuing my journey with her." Alexa Kho-Hinkson is the Founder of Ambika Yoga and Senior Therapeutics Specialist having started her Yogic journey in 2003. In 2006 she became a regular practitioner, and was inspired to train to become a Yoga Teacher in 2008 at the International Sivananda Yoga Vedanta Ashram in Vrindavan, India. Alexa's passion for teaching continued to grow as she learnt more about the healing affects of Yoga through Anusara Yoga for her own health issues, and also a growing number of her students. This then led her into the realm of teaching Yoga Therapy where she has taught a vast number of clients to manage their health issues, and in extreme cases avoid surgery or medication. She now trains upcoming Yoga Teachers about the subject, and is a registered Senior Yoga Teacher with Yoga Alliance Professionals in the UK, as well as a Member of the International Association of Yoga Therapists (IAYT). Throughout the years she has gained recognition for her teaching from the NHS, OM Yoga & Lifestyle Magazine, Sweaty Betty and IKEA, and she is also an Ambassador for M Life; a Luxury, Eco and Social Conscious Brand. Ryan Kai Calderon is the Founder of Alpha OM and began his journey in Martial Arts at the age of seven. He is a 34th Generation Shaolin Disciple under Shifu Shi Yanzi and Yan Lei of the Shaolin Temple, China. His passion in the mind and movement arts led him into learning more about Yoga, and how both disciplines are practiced for healing, and to improve overall well-being. In 2006, he later became the UK and European Director of Budokon for over ten years, and during this period has been recognised by Nike as a Master Trainer, Om Yoga & Lifestyle Magazine, The Daily Mail, Metro, The Evening Standard, Ultimate Fighting Champions, and Tai Chi UK. Ryan also qualified in Thailand as a Thai Massage therapist and has taught as a Co-Instructor on various Teach Yoga Teacher Training Courses in London, whilst teaching at many top Health and Fitness Clubs across the Capital. pricing & room information - limited spaces! The airport to fly to is Eivissa, Ibiza, Spain with regular flights by Easy Jet and British Airways, although you will find that BA has the most regular flights in the day. These flights can leave and return to London City, Heathrow and Gatwick airports. We will organise transfers to and from the airport to Casa Lakshmi, which are fully included in the cost. Costs for the boat trip in ibiza town are not included in the full cost of the retreat and are approximately 20 Euro's per person. Can Luminosa Retreat holds accommodation of super luxurious single rooms with En Suite bathrooms, twin or double rooms with en suites sharing for two people per room, and triple or quad rooms with king beds sharing for three or four people. Please specify your choice of room and any sharing friends or partners so this can be catered for appropriately. A non-refundable deposit of £300 is required to hold your space and choice of room, where they will be allocated on a first come, first serve basis. After the early bird deadline the normal rate stated above will apply, with the initial deposit of £300 to hold your space, and all subsequent monies due paid no later than eight weeks before the retreat itself. Payments for the Retreat itself can be made by direct banking transfer facilities, please contact Alexa directly for further information. Please note flights, massage appointments & boat tour are not included in the cost of this retreat.